By Carl Slaughter: Michael Martinez is a busy author. 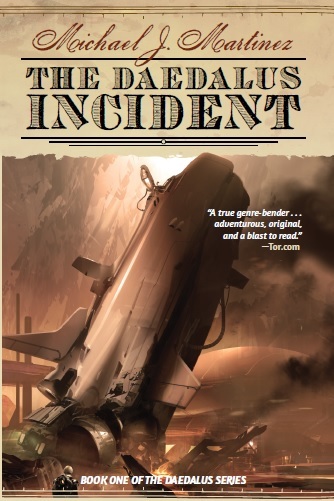 This summer, he wrapped up his Daedalus Incident series with Enceladus Crisis in May and Venusian Gambit in July. 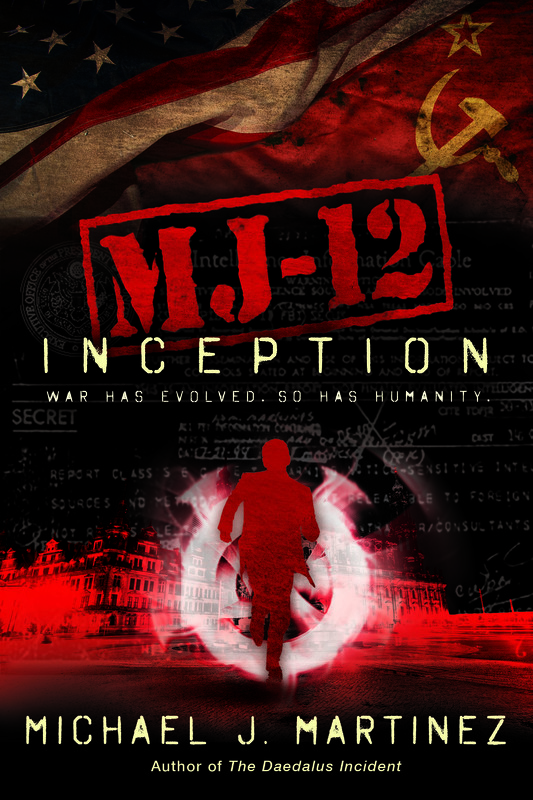 On September he launched a new series, Majestic 12. 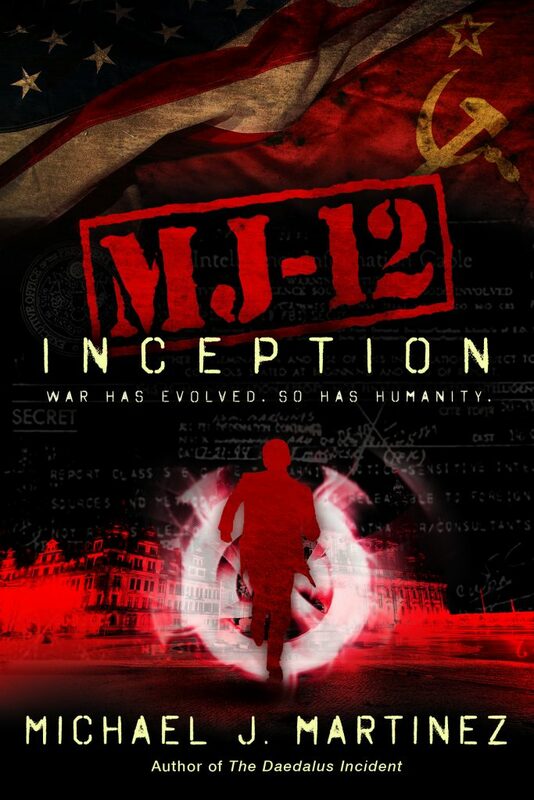 The first novel in the MJ-12 series is Inception and he is working on a sequel. In August, along with Mary Robinette Kowal, K.B. 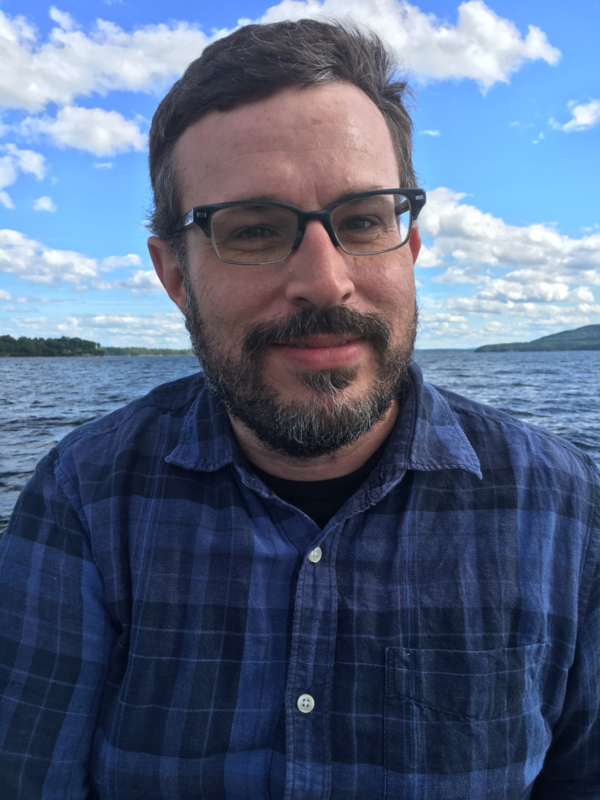 Spangler, and others, he has a story in Geeky Giving, a SFF charity anthology to benefit the Barrow Neurological Institute. 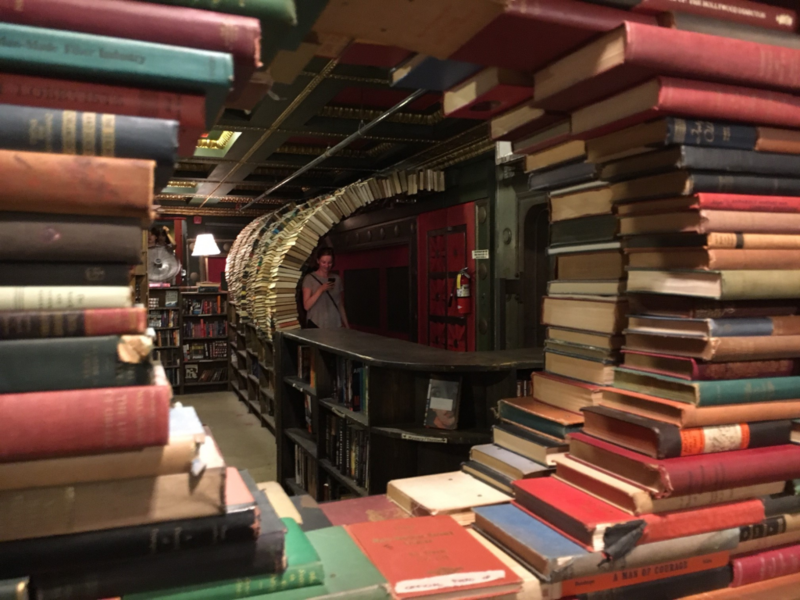 Check out his tour of The Last Bookstore. Mars is supposed to be dead… a fact Lt. Shaila Jain of the Joint Space Command is beginning to doubt in a bad way. Freak quakes are rumbling over the long-dormant tectonic plates of the planet, disrupting its trillion-dollar mining operations and driving scientists past the edges of theory and reason. However, when rocks shake off their ancient dust and begin to roll—seemingly of their own volition—carving canals as they converge to form a towering structure amid the ruddy terrain, Lt. Jain and her JSC team realize that their realize that their routine geological survey of a Martian cave system is anything but. The only clues they have stem from the emissions of a mysterious blue radiation, and a 300-year-old journal that is writing itself. 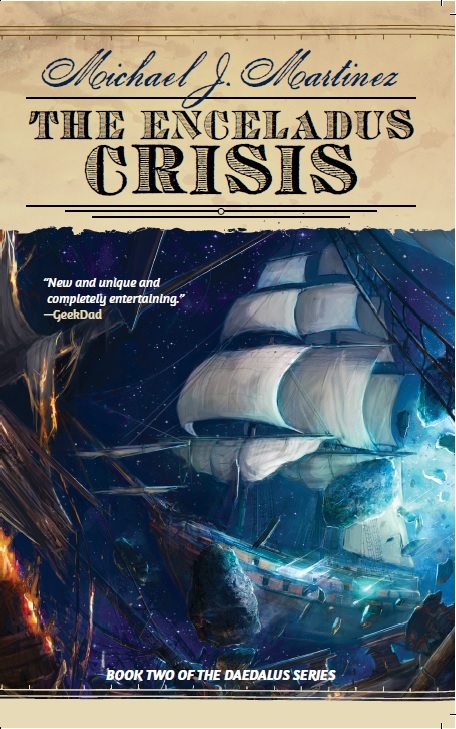 Lt. Thomas Weatherby of His Majesty’s Royal Navy is an honest 18th-century man of modest beginnings, doing his part for King and Country aboard the HMS Daedalus, a frigate sailing the high seas between continents…and the immense Void between the Known Worlds. Across the Solar System and among its colonies—rife with plunder and alien slave trade—through dire battles fraught with strange alchemy, nothing much can shake his resolve. But events are transpiring to change all that. 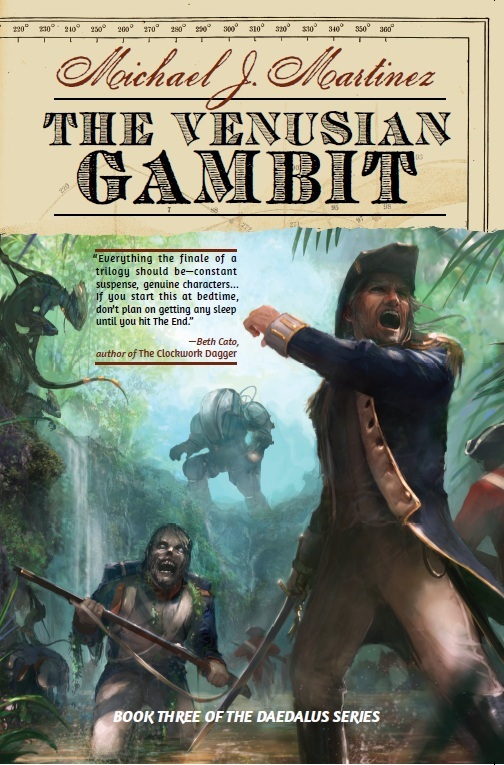 With the aid of his fierce captain, a drug-addled alchemist, and a servant girl with a remarkable past, Weatherby must track a great and powerful mystic, who has embarked upon a sinister quest to upset the balance of the planets—the consequences of which may reach far beyond the Solar System, threatening the very fabric of space itself. Set sail among the stars with this uncanny tale, where adventure awaits, and dimensions collide! This entry was posted in Like Show Business and tagged Carl Slaughter, Michael J. Martinez by Mike Glyer. Bookmark the permalink. Hey! Mighty kind of you. Thanks for this! And while here, I’d happily point out that Geeky Giving is available for download in ebook, and yes, proceeds go to Barrow. My novelette, “Mind Flight,” is my first straight-up milSF, and I’m rather proud to have it in there. I urge all you File700ers to check out the anthology and rack up those karma points. Wow…One day I’ll read these books!